Your love of fishing should never be hindered by a less-than-perfect fishing pole. The reel and rod should be customized to fit your grip. Further, you want to make sure that the components are capable of withstanding where you’re going fishing. 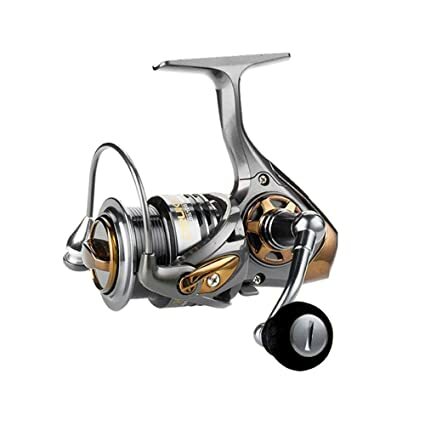 Various fishing reel repair parts are available, too, ensuring that you have what it takes to make upgrades and repairs. Bearings may be small, but they are mighty. If they rust, it’s going to make it nearly impossible for you to reel in your catch. This poses a big problem. The good news is that you can make a simple upgrade to overcome the problem. Consider looking at a set of waterproof bearings so you don’t have to worry about rust in the future. The entire spinning reel can be changed out to improve your time on the water. Read through the features to see how they’re going to help you, such as a secondary drag system. Some are better for saltwater while others are better for freshwater. You may even want to treat yourself to an electric reel, which is ideal if you’re planning on doing some big game deep sea fishing. A replacement handle is one of the most common upgrades that you can make. Stock handles are often sticky, especially after you have been using the reel for a few seasons. Rather than replacing the entire reel, the easiest solution is to replace the handle. An aftermarket T-bar handle can make all the difference. Plus, you don’t have to spend the cost of the stock handle when you want to make a replacement. Take a good look at where you’re fishing. Then, inspect your reel and rod. A few upgrades will likely enhance your fishing experience every time you go out.